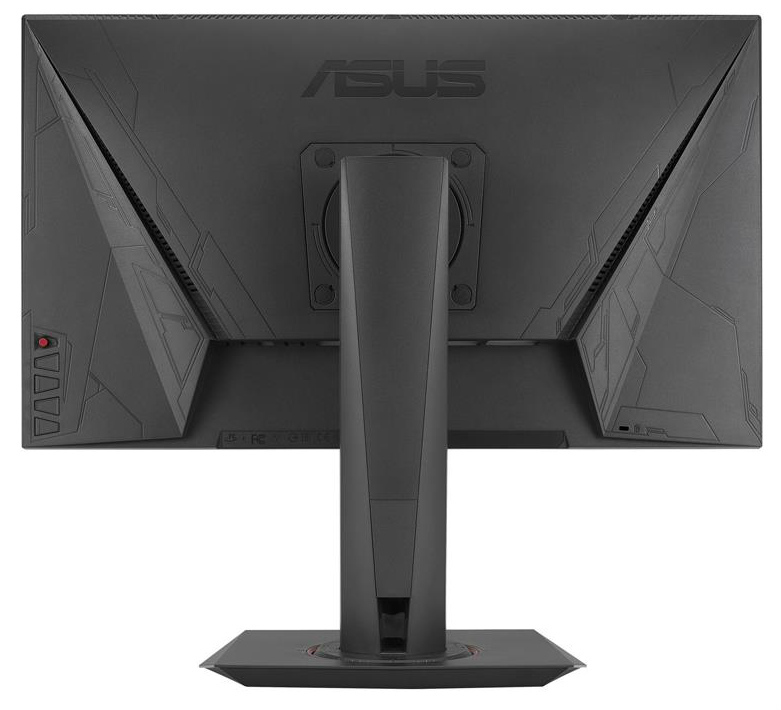 Asus has been quite successful in providing the gamers with quality monitors to suit their individual budgets and builds. Mostly, they are well known for their ROG Swift line of aggressively designed and highly capable products meant to provide both casual and professional gamers with every edge related to the visual aspect. But one big hindrance for most users is their hefty price tag. Their premium gaming monitors can go for more or less a thousand dollars, and most of the time, regular gamers aren’t willing to pay top dollar for a monitor and would rather spend the cash on meatier specs. That is always a wise choice since you can’t maximize the features these products offer without a powerful gaming PC. This point is where the Asus slices the pie in half with their Asus MG248Q. This model offers the same 144hz refresh rate and 1ms response time plus the small bonus features that you can only find in the PG line while having a significantly smaller price tag. 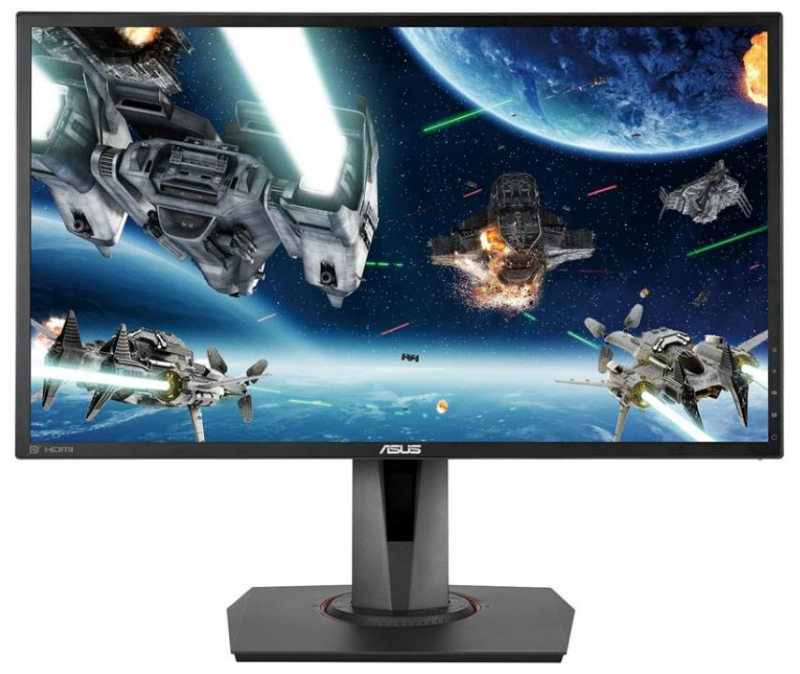 Designed as a step-up from the famous Asus VG248QE, Asus has built additional features into the MG248Q including Freesync to further enhance the total experience at a friendlier price point. While not as aggressively intended as the ROG counterparts or those from other brands, The MG248Q sports a matte black and industrial finish and an overall look that nearly approaches the ROG series’ appearance. The first noticeable feature would be the thin bezels bordering the AG (Anti-Glare) coated TN panel. Although at only a little over 11mm in width, it is not the same borderless design we can find with the ROG models. Turning this gadget around, you will see a matte black rear cabinet molded with an edgy design of lines similar to those found on the shrouds of the ROG gaming Z170 motherboards you can find in retail stores. Looking at the product on this side, you can also see the three buttons including the power switch and a directional joystick for navigating which is a feature you can find on higher tiered models in the ROG line. When facing the monitor, the OSD logos can be seen discretely printed on the lower right bezel, and the said buttons can be accessed from the same point as well. Above the bold, embossed Asus logo, you can see ventilation slits perforating the upper area of the cabinet so hot air can rise away from the innards of the product. The OSD built into this product is similar to the ones found on the ROG Swift models. They can be accessed by pressing the second from the bottom button and navigation is provided by the tactile joystick from behind. Launching the OSD provides eight sub-menus holding the features and settings of this product. Game Visual contains the presets including the factory-default Racing preset. Other modes include Scenery, Cinema, RTS/RPG, FPS, sRGB, and User mode. The color tab provides adjustments to brightness, contrast, color temp, etc. and Nvidia’s Lightboost which we will discuss further later on. The Image tab holds the advanced features such as Trace Free mode and Freesync mode. Other tabs include the Bluelight Filter menu, system and sound setup, plus a submenu for saved presets. Pressing the quick launch button (3rd from the bottom button) starts the GamePlus features found in Asus gaming models which include a fixed crosshair, a timer, an FPS counter and an alignment tool. The MG248Q offers a limited amount of connections in the form an HDMI 1.4 slot, a DisplayPort slot, and Dual DVI-D ports plus the usual 3.5mm audio jack for a headset and a mic input jack. Comparing to products from competitors, this is limited and somewhat disappointing. Most of the competitors offer additional HDMI slots or USB 3.0 ports, but we suspect this design was pursued to keep the price down a bit more. At least an extra HDMI slot would be preferred so that users can add another device to the monitor such as a PS4 or an HTPC for multiple streaming options. But this is not a deal breaker since the product was meant for a mean gaming PC instead of being an all-arounder. There are two 2-watt speakers included in the cabinet, but of course, the quality is negligible since most gaming setups will have a powerful speaker set or a high-tech gaming headset for heart-pounding audio. The stand made for the MG248q also bears a similar resemblance to the ROG models against the oval based VG248QE stand. The stand features a square footing, with a ring accented with red where the neck connects and where it rotates. There are also markings on the ring so users can remember their preferred position if ever the screen tilts into another direction. In the middle of the separating slanting contours of the neck, there is a triangular cable tidy hole for cable management. Since the connection ports are down firing, inserting wires into this opening would be a breeze making a tidy and clutter-free setup. The ergonomics of this stand allows for a flexible amount of adjustments to suit the user’s needs. The display can tilt, swivel, pivot and rise to fit most preferences without any hindrances. All movements on the different axes are smooth and firm, and the base holds its ground when adjusting allowing for single-hand repositioning. Finally, this mount also detaches to reveal 100 x 100 VESA mounts for aftermarket options. The Asus MG248Q offers a 24-inch TN panel from AU Optronics with a 144hz refresh rate and 1ms response time. This model has a 6-bit+FRC color lookup interface, so 16.7 million colors are available giving way to an almost complete representation of the sRGB standard. A medium Anti-Glare coating covers the screen. The layer adds a slightly grainy look, but it is not as bad as those found on older models and is quite similar to the coats found in most modern TN panels. Out of the box with the Racing preset active, the screen projects an adequate representation of colors, contrast, and blacks. So far, only the brightness sits at an unacceptable level since, by default, it sits at 90% of the intensity. Lowering this to more acceptable levels did not affect the color and contrast too much, so it would be wise to do so for your comfort and eye safety. The Contrast levels remained almost constant to the advertised 1000:1 despite some adjustments, and this is one of the good points this product is capable of more so than its competitors. Gamma sits a bit too low for regular use, but if you only consider gaming usage, the default settings will only need minor adjustments to suit your preferences. This flaw, however, is inherited the VG248QE but has considerably improved on this newer product since there is less deviance in the MG248Q. For those who know what they are doing, further adjusting the color temperatures and applying an even lower brightness setting sets the gamma level near the ideal level even if there is no adjustment available for that aspect in the OSD. Considering this is a TN panel, viewing angle is limited, and the image degrades from all sides, especially from bottom to top. The yellowish tinge from the WLED backlighting becomes evident from different viewing angles, as you view from the sides, and even further degradation when you are viewing from the bottom towards the top. While we consider the color performance of the MG248Q as better than its competitors, this product is still not ideal for professional applications such as image and video editing. There are better IPS professional monitors for that kind of thing (We have reviews for those, so why not scour our website for more info? ). As for lighting uniformity, this model also performs quite nicely. There is only a little light leak on the bottom part of the screen, which in turn transforms to a grayish tinge when viewing dark images at an angle, but since this is a TN panel, that is entirely acceptable and unnoticeable in practice. But for those planning on getting this monitor, always manage your expectations as this flaw may vary from each product that you may get. For the MG248Q’s response rates, the results were staggering in a positive sense. After some calibration, the actual average response time sits at only 3.2ms, slightly faster than leading 24-inch competitors (3.4ms) and a little slower than the performance the ROG models are capable of (2.9ms). The differences are negligible in practice, but it is nice to know that this baby sits with the top-tier beasts in the market when it comes to this aspect. Although, a constant flaw of TN monitors running at high refresh rates and lower response times are ghosting and motion blur. Operating at high refresh rates lowers the response time, so image flaws like this may become apparent. Fortunately, there is an overdrive controller feature called the Trace Free mode. Setting this corrects most of the blurs and ghosting, and lowering the GTG response time back to the amazingly low levels even at 144hz. But keep in mind to not set this tool too high, since too much overdrive can cause inverse ghosting or image overshoot. Tests recommend setting Trace Free to 20 when you have a continuously high refresh rate, and 40 at 60hz operation. Aside from the outstanding color and contrast performances, the MG248Q also comes built in with utilities to make use of its 144hz native refresh rates and 1ms response time. The addition of Freesync further separates this model from its predecessor, the VG248Q. While fantastic at buttery smooth gaming visual performance, the addition of Freesync enables further elimination of tearing and stuttering while experiencing variable refresh rates. You can use this feature if you come across the latter with a Freesync compatible card, to lessen the visible flaws. But do take note, that this feature disables any overdrive features on most monitors so that you will lose the Trace Free mode’s functionality. With a little testing, you should be able to see which option you can use for gaming that will produce more benefits. Since the monitor comes Freesync certified, it does not come with G-Sync functionality from the green team. But what it does inherit from the VG248Q is Nvidia’s 3d Vision 2 capability. This addition is indeed peculiar since 3D gaming is a dead aspect. But what is interesting about this feature is that it adds Nvidia’s Lightboost feature. It is a motion blur hack that strobes the backlight to activate in unison with the ongoing display refresh rate. This feature cures some if not all of the blurring perceived by the user’s eyes. This feature is quite similar to BenQ Zowie’s Blur Reduction mode in their XL series of gaming monitors. While detrimental to the exclusivity the Freesync certification tries to employ, this inclusion makes this product ideal even for Nvidia users. Also, it is a well-known fact that Nvidia has more powerful GPUs in the 10 series product line when compared to AMD’s RX 4XX line, so the 144hz refresh rate plus this gem of an addition makes it even more enticing for the green team despite the lack of G-Sync support and its $200 fee. In our humble opinion, the MG248Q sits at the top of the 24″ chain. Despite not having it’s ROG Swift siblings premium price tags, this model performs almost at par with them and with the competing 24″ professional gaming monitors available today. For gaming purposes, the out of the box performance of this product is superb. Most of the advertised gaming-grade specs are within reach either in default or calibrated settings, all while having excellent color and contrast performance. The inclusion of Nvidia features are also a welcome variation from AMD’s Freesync certification, further adding value to the friendly price tag especially when comparing to more expensive Freesync-only counterparts. The physical attributes also give great justice to the overall performance of this monitor, despite a few missing bits of bling from the ROG Swift series. While there are no deal-breaker flaws on the performance, some problems arise from the MG248Q. But most of these issues such as the limited viewing angles and the apparent ghosting in some situations are due to it having a TN panel, the speed, and the built-in features more than make-up for them both in value and in addressing them. Also, out of the box the factory settings and most of the available adjustment options applies mostly to gaming, but then again, if you are searching for a regular monitor, why are you looking at the amazing MG248Q? I’m thinking of buying either this or the Viewsonic XG2401. If you compare these two, which one would you say is the best? Hi, Eric! The Asus MG248Q is slightly faster, but the ViewSonic XG2401 has better image quality. Both monitors are excellent and you can’t go wrong, so feel free to pick either! I’am really interested in buying a MG248QR at 160€ but I barely see anyone recommending this monitor, I have only seen apart from this review people talking how horrible the colours are and how horrible it is in general… I’am on a max budget of about 230€ which is almost the price of the ViewSonic XG2401 which also has amazing reviews for it’s price range. Hi, Pedro! The Asus MG248QR is a steal at that price! Most of the negative comments we’ve seen are elitist or snobby, and it would be wise to ignore them. After all, you can’t expect perfect image quality with a midrange monitor like the MG248QR. And yes, the ViewSonic XG2401 is the best at color and image quality in the 144Hz TN monitor category. If that minor advantage is worth the price difference, then go get the ViewSonic XG2401 so you won’t have any regrets down the line. Cheers! Hi Thanks for the review – I went to a store and looked at this monitor, I tried to find a sweet spot to look at it from, but even if I just moved my head 2 inches the contrast shifted. Is this panel considered a good TN panel? I am trying to decide on a new gaming monitor and if I could find a decent Gsync 144Hz monitor I could save some money. But I have never owned or really seen TN panels so I am looking for info or advice. Are there TN panels that are uniform inside a viewing angle of 40 degrees horizontal and maybe 20 degrees vertical? Hello, Esben! Viewing angle issues are common with TN panels, so it’s next to impossible to find something better. It’s also different when you are checking it out on a display stand and sitting in front of the monitor at your desk. I’m personally still using a TN monitor and the viewing angles change drastically with a little shifting, but its livable and easy to get around once you are used to the monitor. In the view of you, which is worth more but this most recent model? Asus MG248QR or the C24FG curved samsung? Hello, Waldkley! You can go with either since both are priced similarly. But if you prefer competitive gaming, we recommend the Asus MG248Q or its refreshed variant since it is faster and for us, curved displays aren’t really ideal when its only 24 inches. Awesome review and im a proud owner of one of this great monitors. Thank you, Hugo! We’re glad you love your MG248Q!